We invite you to contact us today to discuss your dental care. Please don’t hesitate to call us at (580) 326-9631. Quickly and easily schedule your dental appointment online today. 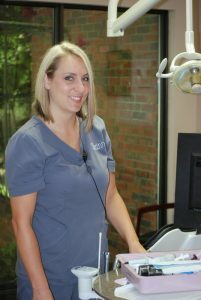 Click here to read what others are saying about New Image Dental Of Hugo. A beautiful smile is one of the most sought after features in cosmetic medicine. People from all backgrounds and professions want a white, straight smile, and we can help make it a reality. Whether through minor adjustments or major changes, cosmetic dentistry aims to help people feel good about the way their teeth look. There are many procedures that can improve your teeth and correct issues such as discoloration, chips, gaps, or irregularities. Common options include bonding, veneers, bleaching, reshaping, and crowns. In addition to cosmetic improvements, these procedures can help solve other oral problems as well. These procedures vary in cost, complexity, and results. It is important to discuss your options with your dentist to determine the best procedure for you. The condition of your teeth is a major factor in finding a treatment, and the same technique that worked for someone else may not be the right one for you. Gathering all the necessary information before a cosmetic procedure is critical to being happy with the results. In particular, you should find out what the changes will look like, what to expect during treatment, and what kind of upkeep is required afterwards. You should also ask to see before and after pictures to ensure your expectations are realistic. If you are considering cosmetic dentistry, contact us today to discuss your options.